A recent upload to the National Geographic YouTube channel gives a lot of cool information on boa constrictors in film and graphic form. If you, like the boa, have the stomach for it, enjoy! A little over a year ago, Nobel Prize-winning physicist Frank Wilczek owned up to working on a theory for Time Crystals as a way to supply unlimited energy. 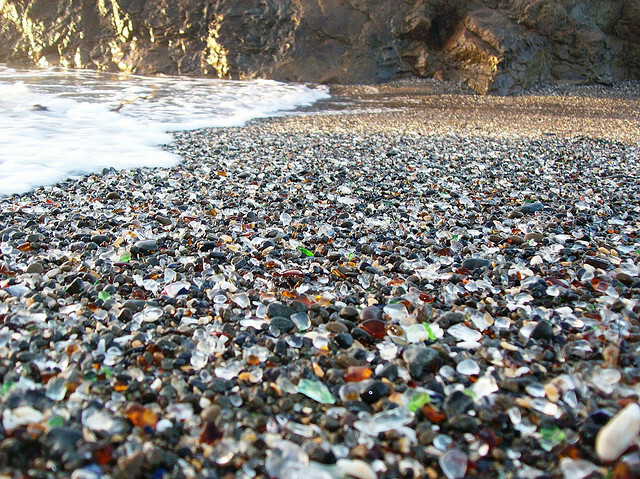 Maybe someday you can add them to a tabletop roleplaying setting and they won't still be a science fiction element. See more here! 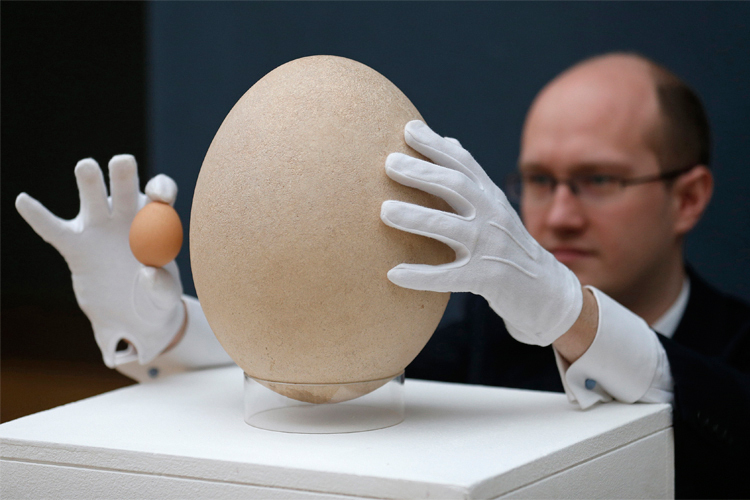 A recent report from the ibtimes.com website featured "Huge Fossilized Egg Sells For $101,813 At Christie’s Auction In London." Read more here! 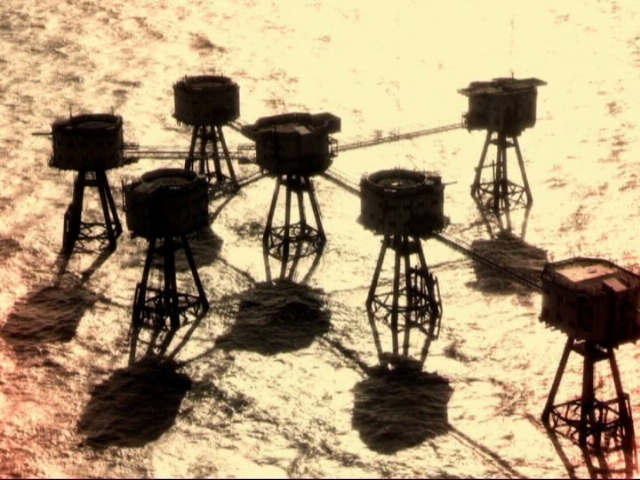 A recent National Geographic video uploaded to YouTube highlights the Antlion. Enjoy! A Facebook Friend clued me into a piece of online software that can be used to make faces for PCs, NPCs, etc. located at morphases.com which you can check out here! 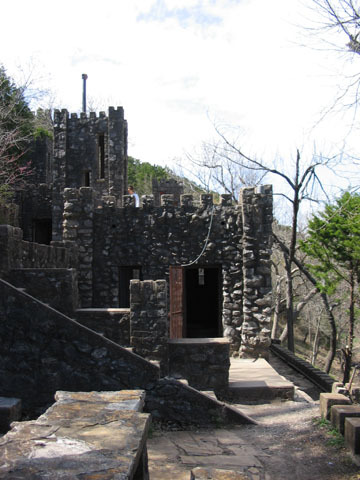 A Facebook Friend recently took a trip and because of it I became aware of Collings Castle in Turner Falls, Oklahoma. See more here! A recent article on LiveScience.com titled "First Evidence of Viking-Like 'Sunstone' Found" details these mysterious artifacts. See more here! Don't worry, they're actually katydids and they don't fly, but when moving in the thousands they sure are awesome. Enjoy this National Geographic video from their YouTube channel featuring these prolific insects. 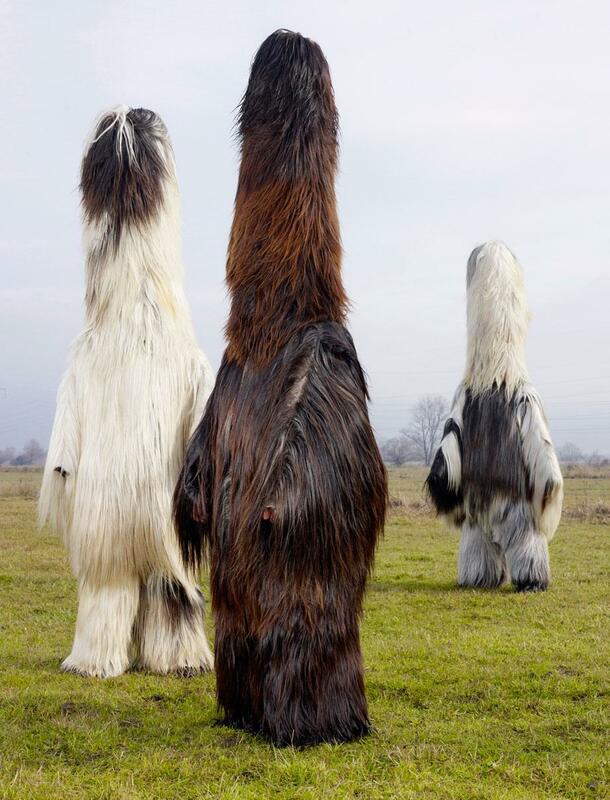 A Facebook friend recently pointed me toward a photograph of some rather cool costumes worn by Bulgarian men for a festival celebrating some traditional rites. Read more here! I was recently pointed toward a YouTube video featuring a reading of "The Yarn Of Odin's Rune Tally in English and Old Norse." Enjoy! A recent National Geographic video on YouTube explains "How to Survive a Gorilla Charge." Enjoy! Sometimes it is simply enough to mention that a character in a tabletop roleplaying setting is either wearing shoes or boots, and sometimes more detail can be useful. Are they hard boots that can withstand a snake bite or spike through the sole? Are they light shoes, even slippers, that make hardly a sound when walking and sneaking? There was a recent article on news.discovery.com that showed some 2,000 year old shoes and also includes a number of sketches of sandals from that time. 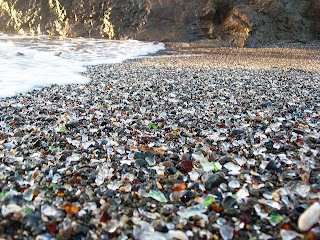 See and read more here! Some time ago, the National Geographic YouTube channel featured a video showing a "Boomslang vs. Chameleon." Enjoy! It's been one hundred years, but the survival story of David Mawson, a contemporary Antarctic explorer of Amundsen and Scott, is being revived in a 20 minute National Geographic video. Enjoy! As if the spiders we had on record weren't disturbing enough, according to metro.co.uk, in Sri Lanka they have discovered some news one that are rather more so. See more here! A Facebook Friend recently pointed me toward a variation on the wiki model called The Citizendium. It's a wiki but requires verification of authors and maintains a narrower focus than the wikiverse in general. 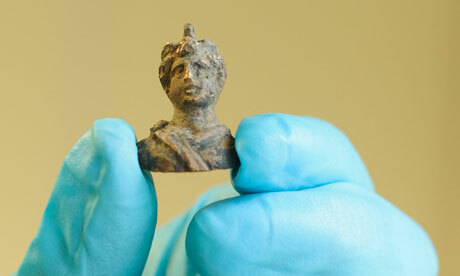 In particular, the article being touted was one on Neanderthal. It's well-written and has convinced me I need to spend a bit more time in their pages. See more here and here! 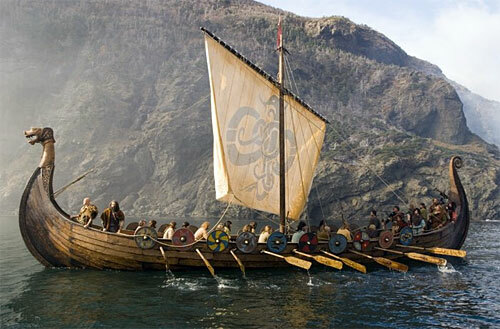 If you're in the Nottinghamshire area, you might find some time on May 18th and 19th to join in the Viking Spring Thing. It's a free event hosted by the Friends of Thynghowe and the Forestry Commission, and funded by Heritage Lottery Fund, that is sure to be a blast. Find out more here! 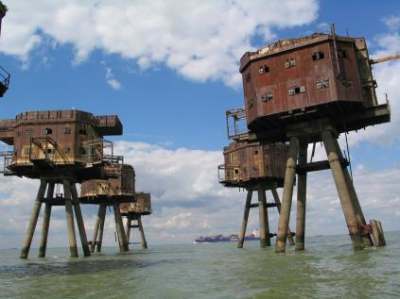 The Thames Estuary Forts, or Maunsell Sea Forts, were build in World War Two to defend England from air assault. Certainly, these relics would now make a fine addition to any post-apocalyptic tabletop setting. Read more here! There is a very cool statue of Holger the Dane in Kronborg Castle and the story behind it is remarkable. Read more here! My buddy Colin pointed out a site recently with a pile of floorplans that should be readily usable for many tabletop roleplaying settings. It includes maps for many real world castles and locations and some fictitious too. The site is Randwulf.com, apparently the online name of the cartographer, and you can find it here! If you're in the Dublin area on April 3rd, you might be able to slip into a presentation called "Below the Surface presents: The Fleet of Norse Dublin." See more here!